Automatically clean-up images, including auto-rotation, auto-deskew, crop, noise removal etc. Improves OCR/ICR, reduce image size. Essential tools for to development of form processing and other specialized imaging tools. Operates on PDF, TIFF, JPEG and other image files. Resize image to standard document size: Letter, Legal, A4, custom size, etc. Process all pages pages or any set of pages in a multi-page file. Automatically and quickly clean images prior to OCR: deskew, auto-rotate, clean noise, remove lines. 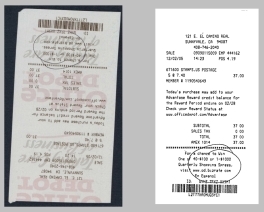 Removing of image artifacts that impair OCR process translates to higher recognition rate as well as recognition speed.. Removing many image artifacts, cleaning noise, smoothing characters, straightening lines can significantly reduced size of compressed image file. Scale images to reduce image size. Convert color grayscale to high quality bitonal. Result is significant reduction in storage space requirements and much improved speed of image transmission over the Internet. Document segmentation, lines identification and other image analysis tools are core of form processing application. Low level image processing tools like morphological, filters, binarization, scaling, etc. used to build specialized document processing tools. Download SDK to load your images in ClearImage Demo. Test various IP methods. See results immediately. Intuitive API requires no knowledge of imaging. No obscure parameters to specify. High volume image-based system demands optimum processing speed, that often performed within 30 mSec. Multi-threading supports full utilisation of multi-core server processing. Non-stop unattended operations demand the highest level of reliability. ClearImage Image Processing is proven in thousands of high-volume production installations around the world. We have been using Inlite's ClearImage Repair and Tools products since 1995. We have found the Inlite tools to be extremely stable and very fast. ClearImage offer numerous unique functions not found in any other imaging software. While we have rarely needed it, Inlite support has always been excellent. The ELAR Corporation uses the ClearImage libraries to implement a document filing system of corporate archives. The reliable operation of these recognition components allows the system to fully automate the separation of the incoming documents flow into the various documents, removal of empty pages, cleaning of noise and to correctly orient the pages. The ClearImage components can easily be incorporated in the corporate systems and they can be used in the independent scenarios with the open code (for example, VBS, powershell). The high quality operational and technical support provided to us the positive solution of problems as they emerged. Manchester SDL develops image based business process applications for healthcare providers nationwide. 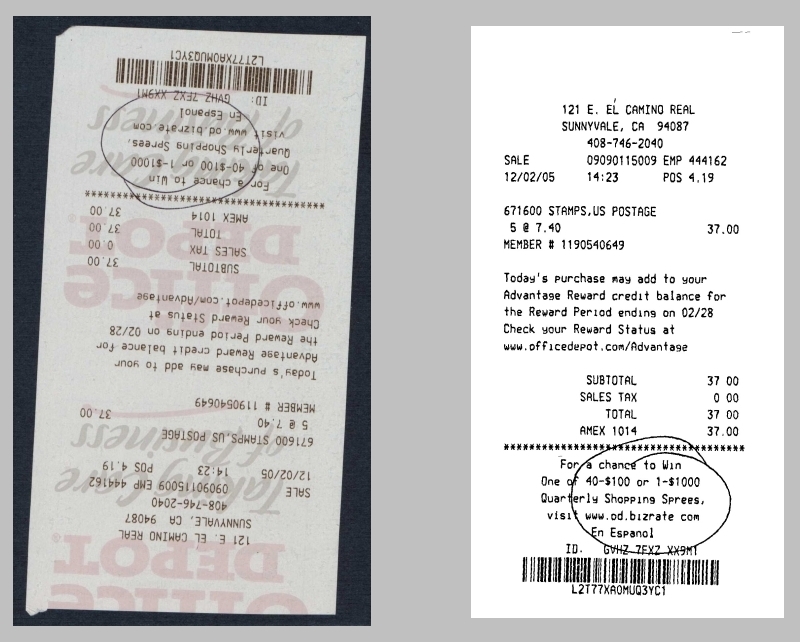 Since 2008 we have relied on the ClearImage image processing and barcode recognition engines to automate forms recognition, processing and related workflows. The engines were quick and easy to integrate into our applications, and they performed predictably and well. When we have customer issues or development questions we get quick and responsive support from Inlite. They provided advice on processing strategies for complex tasks, and have helped us to debug and improve our code when we were stuck. Inlite products and support services have always exceeded our expectations. Inlite Research products are a crucial component to our document flow automation processes. Their products perform a myriad of complex image manipulation tasks for us that would otherwise be impossible for us to bundle into our services on an acceptable schedule. The support of their development team is unmatched in our experience with regard to product knowledge, bug fix response and best practice assistance. The team and products of Inlite Research have our full support and professional recommendation for your consideration.